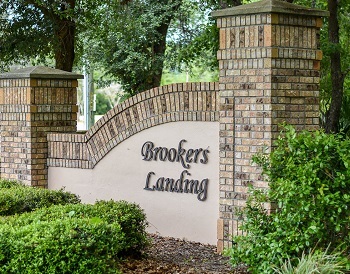 Located off East Lake Road north of Tampa Road is the wooded community of Brookers Landing. The homes for sale in this neighborhood are warm inviting family homes with many extras. Most are two story designs with 2 car garages roughly 2000 square feet in size. One of the important factors of this East Lake community is that the homes all back up to conservation area for privacy and natural settings. Many have volume ceilings and split floor plans along with fireplaces and upgraded kitchens. Large established oak trees provide these homes with tons of shade from the hot Florida sun. This is a small friendly subdivision with slightly winding trees that adds to the curb appeal of each home. East Lake area is a popular choice for home buyers due to the fact that there are many quality schools and recreation facilities but not a lot of big shopping centers with lots of traffic. When you need that, you are just minutes away. This location is also close to dining and the gulf beaches. Brookers Landing is one of the more appealing affordable neighborhoods in Palm Harbor. Selling your home in Brookers Landing? This area of East Lake is very popular and Brookers Landing is a mature and peaceful place to live. Our agents are confident we can make you the most out of a possible sale. Give us an opportunity to interview with you if you are thinking of selling your home here. Call our office today and speak with an experienced agent.